Welcome to uS| SWAT Team, Officer ! uS| SWAT Team is a SWAT4 gaming community about friendship, teamwork, and fun. We are not a clan but a team. We play the famous video-game SWAT4, not for competition or glory, but for meeting new friends and team players. You can register an account on our website if you wish to join uS| as an in-game member ! uS| has a website, forums, Gameranger servers, and the long-term dedication to continue reaching out to make friends with people whom enjoy strong co-op team play in a relaxed and friendship-based atmosphere. Today we would like to officially announce the sign ups for the tournament are now open. uS Team celebrates the opening of its brand new website ! 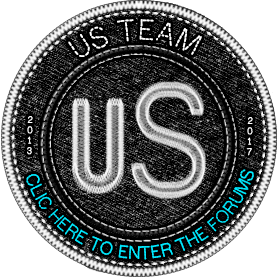 The uS Team is glad to welcome you on its new website and forums ! We hope you will enjoy your new talking place.